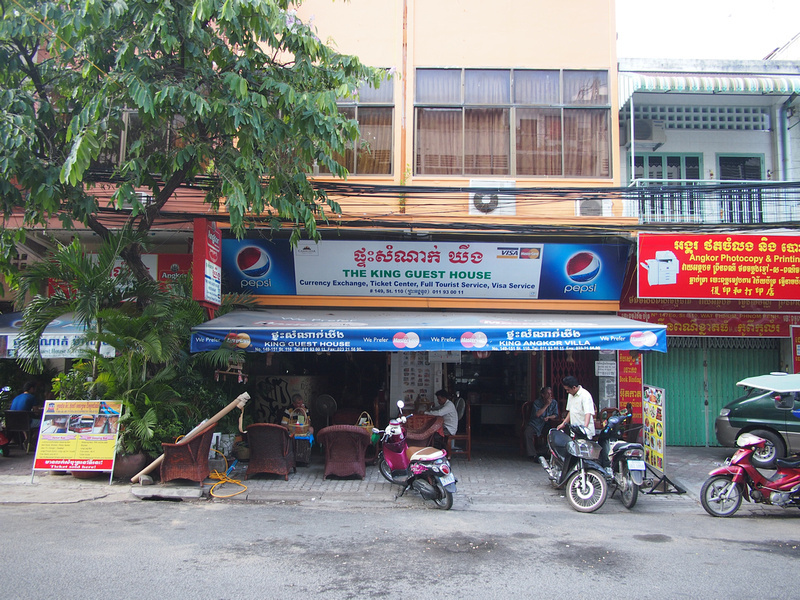 The King Guesthouse is a budget guest house in Phnom Penh, not far from Wat Phnom (the principal Buddhist temple of the city). 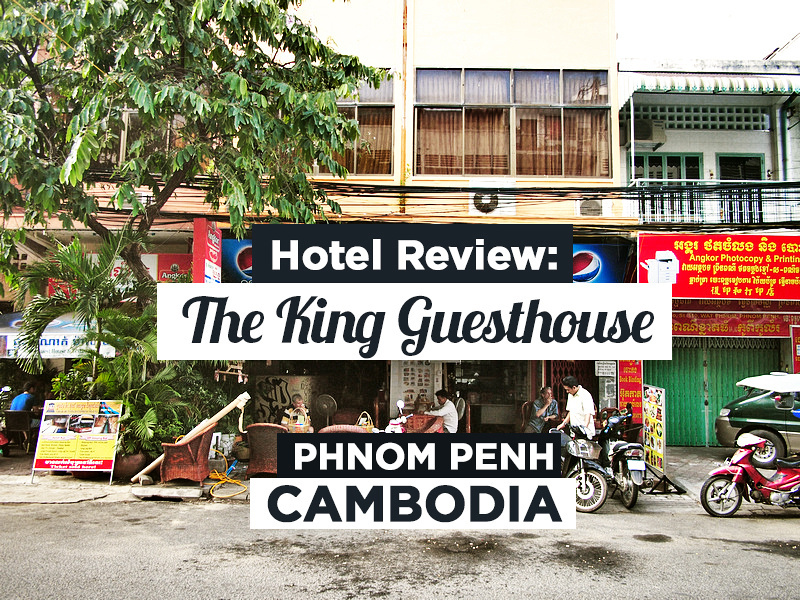 This is with my recommended area to stay in Phnom Penh. At under $10 a night it was one of the cheapest single rooms listed when I was searching for a place to stay. I booked it purely for the price and I wasn’t expecting the quality to be great. I booked a single room with attached bathroom, fan only (no A/C) for $8USD. The room was comfortable with a fan but the room smelled old and musty. The toilet in the bathroom was missing its seat. I got a room with a window which made a difference to my stay as I noticed many of the rooms don’t have windows and looked like concrete coffins. There was wifi in my room the signal kept dropping out and I ended up doing some work in the downstairs common area. There is a restaurant attached with a cheap breakfast but I left before it opened. Overall this was a pretty crappy guesthouse. If you are travelling on a budget and just want a cheap private room then you will get by here, otherwise I would recommend spending a few dollars more on a nicer place. 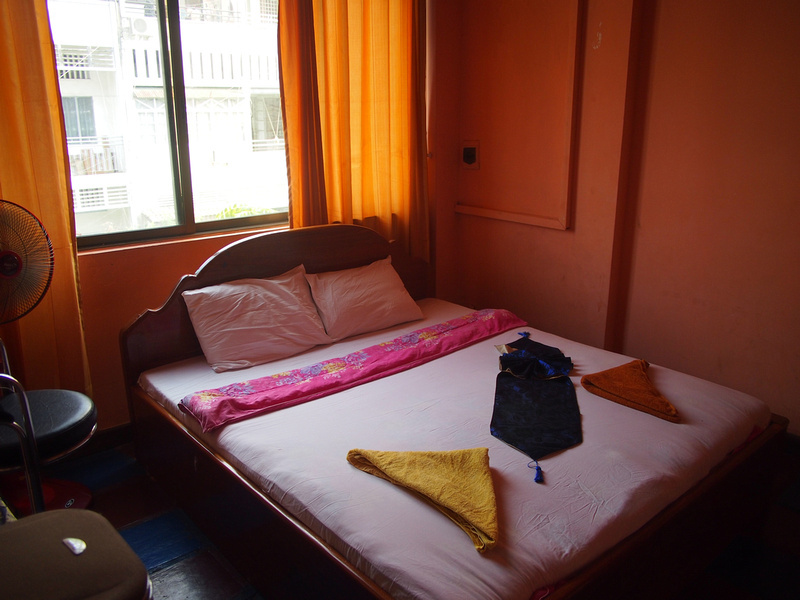 Search more for hotels in Phnom Penh. For more information on Phnom Penh visit the Phnom Penh Travel Guide. Which guesthouse would you recommend in PP? Good question! I still haven’t found a go-to place for PP.